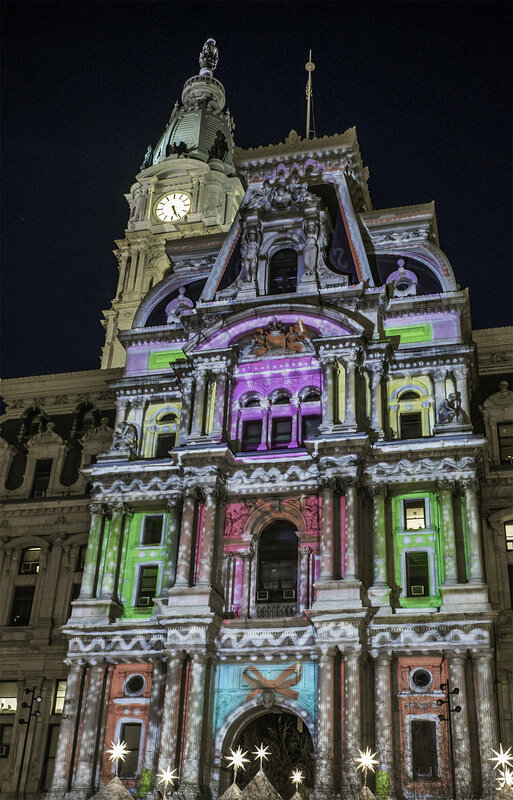 Monday, November 20th saw the kickoff of a new holiday spectacle in Philadelphia: the Deck the Hall Light Show presented by Independence Blue Cross. 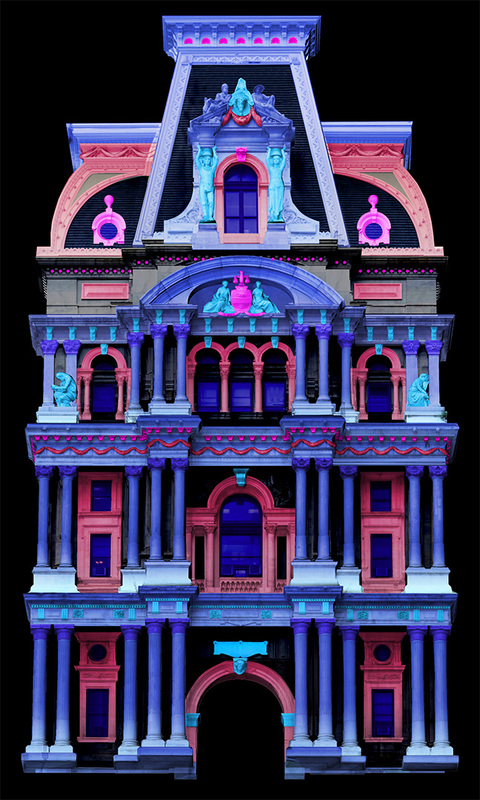 Lighting up the West Market Street side of City Hall, the light and music show will play nightly until January 1st, with more frequent showings on Friday and Saturday nights. 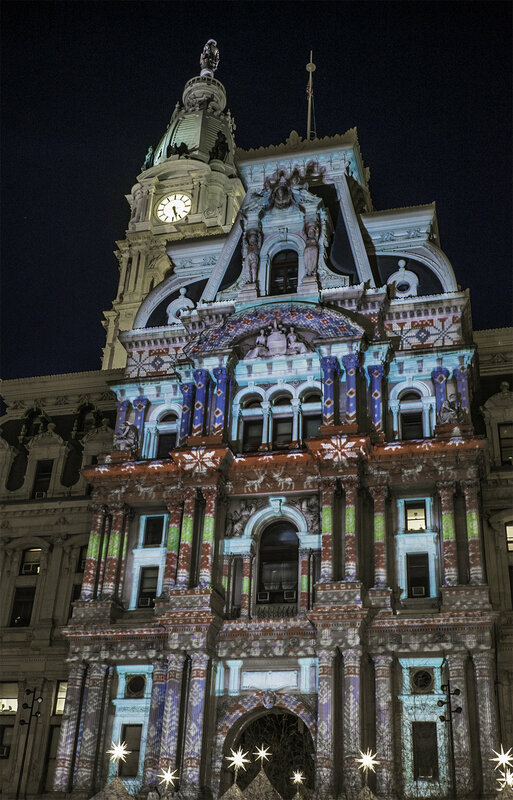 The show features projection-mapped animations that illuminate the intricate structural and decorative details of City Hall’s historic architecture, breathing new life into the classic Philadelphia landmark. 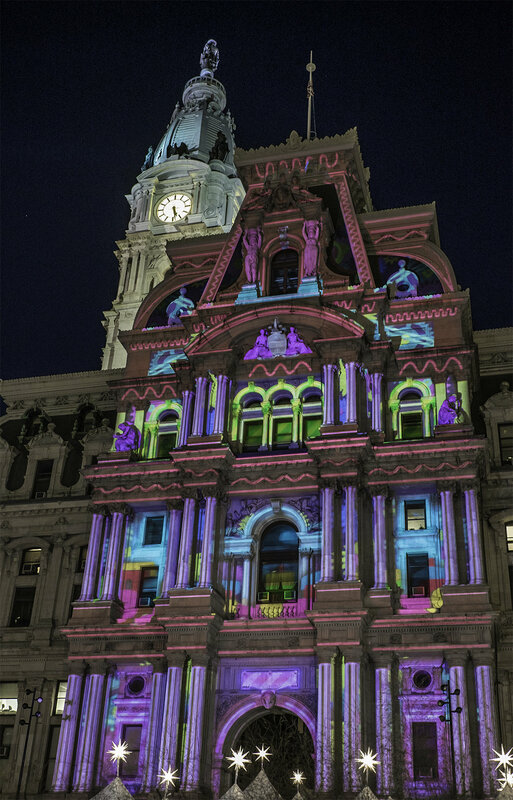 The festively psychedelic visuals are synced to music, creating a unique holiday celebration completely new to Philadelphia. 3 animators and 2 editors worked together for 9 weeks to create the Deck the Hall holiday show. 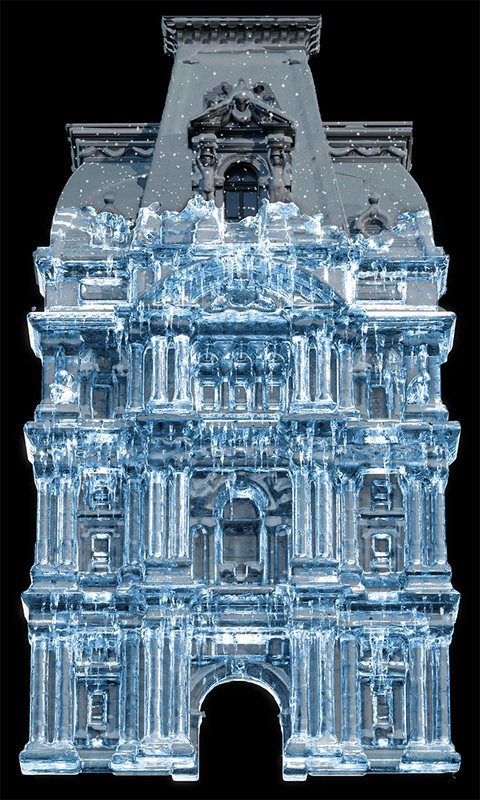 The output resolution was 1920x3200 and was projected by 4x 30k lumen projectors. In between the Deck the Hall show, City Hall was illuminated with vibrant hues that slowly changed over the evening.